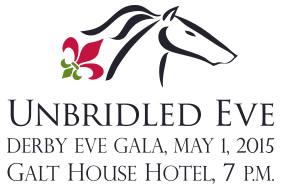 Announced by Press release, the Fourth Annual Unbridled Eve Gala, an Official Kentucky Derby event will take place in the Grand Ballroom of The Galt House Hotel & Suites on Kentucky Derby Eve: Friday, May 1st from 7 p.m. to 1:30 a.m. The exclusive star-studded gala, which draws local and national business leaders, horse racing industry professionals and celebrities from film, television, music, comedy and sports, provides the best in Southern hospitality, elegance, and entertainment. Past celebrity attendees and performers include Luke Bryan, Nicholas David, Lauren Conrad, Jane Seymour, Jesse Spencer, Kate Flannery, Beth Behrs, Lance Bass, Jennifer Tilly, Geoff Stults, Randy Owen, Dennis Haysbert, Greg Grunberg, William Fichtner, Bob Guiney, Warren Moon, Nora Roberts, Luke Hancock, Ice-T and Coco, and more. In addition to the celebrities and live musical performances, guests will have the opportunity to bid on fabulous items from the live and silent auctions including some of the most luxurious wining, dining and getaway packages in the world, while enjoying spectacular Southern Wine & Spirits specialty bars serving craft cocktails made by the very best mixologists and bartenders in the area. Featured brands include Maker’s Mark, Knob Creek, Basil Hayden and Four Roses Bourbons; Skyy, Ketel One and Svedka Vodkas; Casa Noble and, Espolon Tequilas; Constellation Brand wines, Moet Hennessy Ice Imperial Champagne and Mumm Champagne. For the fourth year in a row, the primary beneficiary of the Unbridled Eve Gala is Blessings in a Backpack, a 501 C (3) non-profit organization currently feeding over 76,000 children 800 schools in 44 U.S. states and the District of Columbia. Blessings feeds a child in the program for an entire year for only $100, providing support for elementary school children whose families qualify for the Federal Free and Reduced Price Meal program and who have minimal food on weekends. The program’s success has been measured in better test scores, improved reading skills, positive behavior, improved health and increased school attendance. Additional 2015 beneficiaries include Boys and Girls Haven, Friends School, Kentucky Humane Society, the Les Turner ALS Foundation (Chicago), The Lord’s Kitchen, Neighborhood House, Opening Gates, Operation Homefront: Holiday Meals for the Military, James Graham Brown Cancer Center for ovarian cancer research, Super Student Athletes, Kentucky State Police/Trooper Island Camp, and Winter HAYven. The top level “Champion” sponsors of the fourth annual Unbridled Eve gala are Southern Wine & Spirits and Delta Dental of Kentucky. Other sponsors include Cigna, Kindred, The Nora Roberts Foundation, Red7e, Vest Advertising, The Galt House Hotel & Suites, Draft Kings, Wayne and Kathy Richards, WPO Dallas Maverick Chapter, Barry Wooley Designs, Yum! Brands Foundation, Millennium Events and Visual Productions. To purchase tickets, visit their website, www.unbridledeve.com and click on “purchase ticket” or call 502-894-9768 or email peggy@yorkmgmt.com. Tickets are $600 and an after 10pm “dance only” option is available for $200. For all media inquiries, including interviews and to request red carpet credentials, please email Alexandra Lippin alippin@lippingroup.com.